Alan’s behaviour is getting worse by the day and it is decided that the Wolfpack should drive him to a special clinic that will help him get better. However once on the road things do not go according to plan and they end up in another life or death situation. This third part to the story is different to the others as there is no actual waking up from the night before. The hangover could be seen as trying to get over everything they have been through ever since that night in Las Vegas. 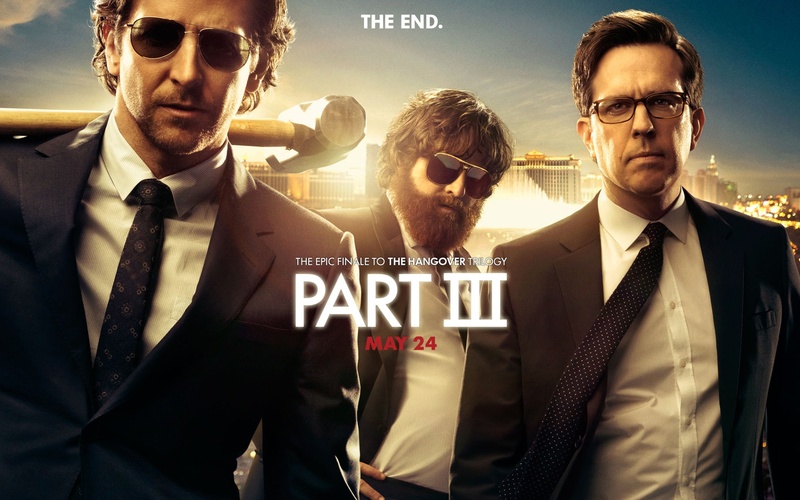 The film, which is seen as a final part to the story, sees a lot of cameos from previous cast members with them all ending their own personal hangovers. The film does have some laugh out loud moments and fans of the previous two films will want to see this. However it does lack that something the 1st two had due to no waking up story line and being more linear like any other film. It was good fun and I would recommend it to fans of the others.